UMB is a diversified financial services holding company that aligns its comprehensive suite of solutions with strategic business segments. 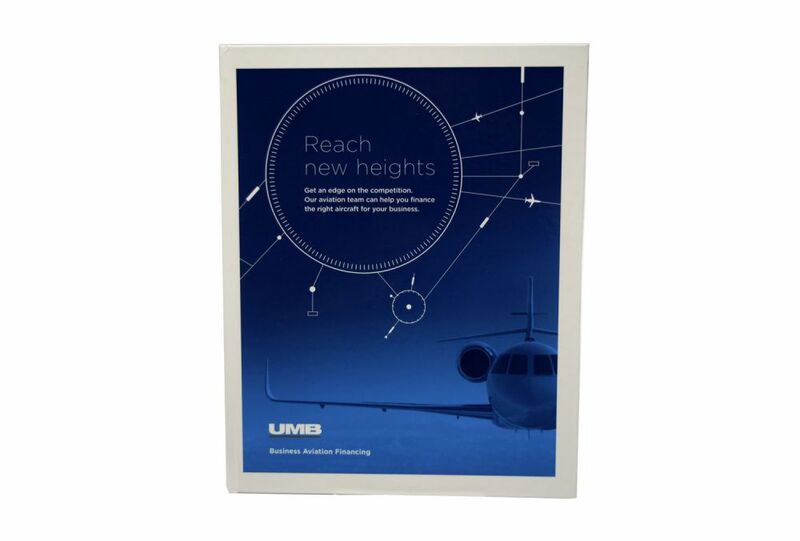 With a new Business Aviation Financing team, UMB needed an innovative marketing communication mailer to reach senior level executives at key prospects. 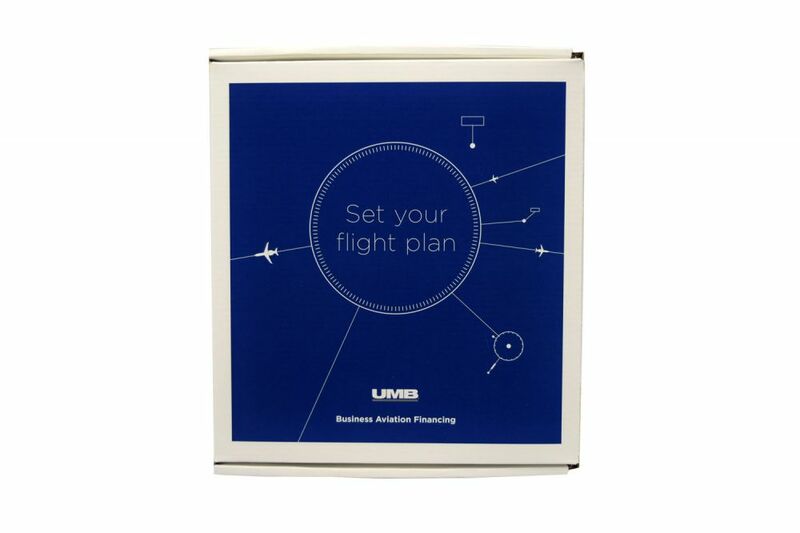 Most importantly, UMB needed a way to communicate directly with these high-valued prospects. 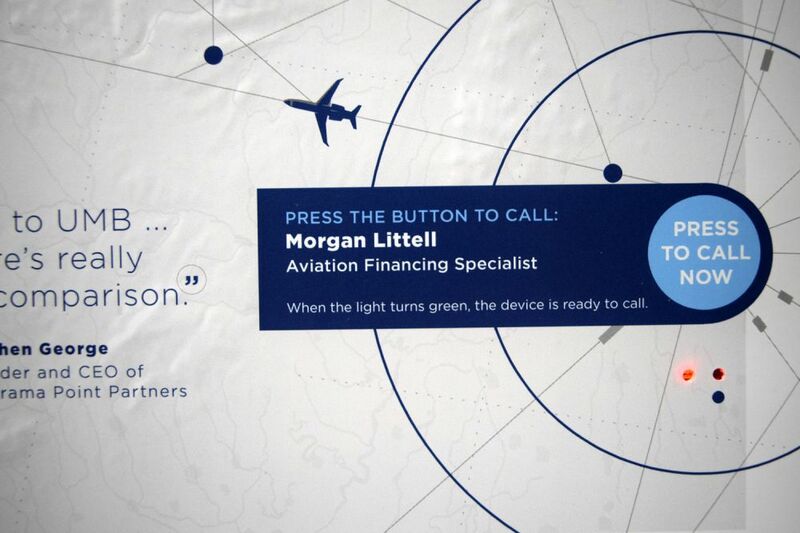 Americhip, working with UMB and its agency, developed an innovative Mobile + Video in Print brochure that communicated the key benefits of aircraft ownership while also providing a direct cellular communication to each of these senior executives. Americhip’s Mobile + Video in Print technology gives you the ability to program up to 15 minutes of video content into each brochure and to provide a direct call feature into every brochure. With Americhip’s Mobile in Print technology, your customers or prospects simply push a button on the brochure to connect live with your home office, call center or any other point of contact. The call is actually made and completed directly from the printed page. 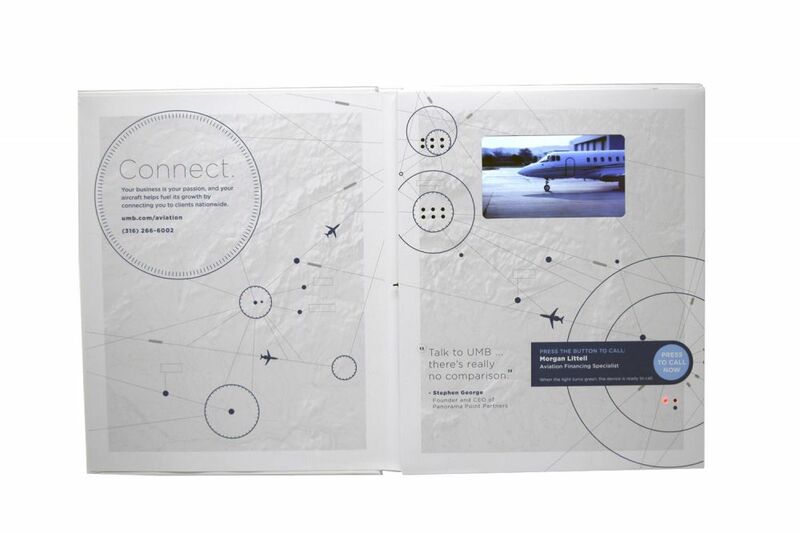 With Americhip’s Mobile + Video in Print brochure, every UMB target was provided compelling video content outlining the benefits and advantages of aircraft ownership, and also provided a direct line to call into UMB’s representatives ready to discuss all of the financial details for such a transaction. 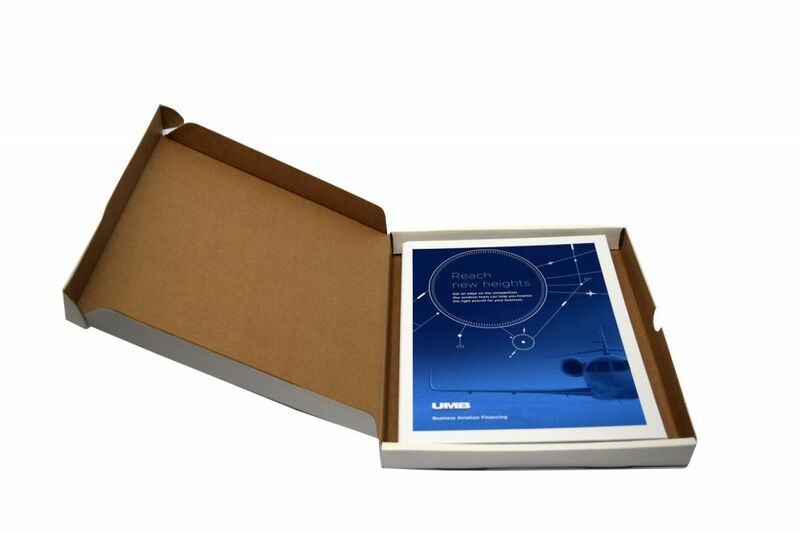 Not getting the response you need from your traditional direct mail or B2B development? Upgrade your outreach with Americhip’s Mobile in Print and Mobile + Video in Print for instant engagement with your top customers and prospects.